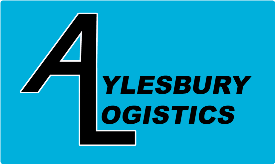 Established 17 years ago we have rapidly grown to become Buckinghamshire’s leading provider of Logistic Solutions. The core of our business is in the Same day/Next day Courier space complimented with a UK and European pallet distribution offering, supported by the leading Pallet Network for quality, Pallex. Our network service with Pallex allows us to offer our customers a fast and reliable UK and European service at affordable prices, whether it be shipping by land, sea or air and with the latest technology our customers have more control and visibility than ever before. On any typical day, our vehicles, ranging from small van to artic lorries, cover the length and breadth of the UK ensuring our service offering is 100% and we don’t have to tell you no when you need that important package there ASAP. With over 10,000 square ft of storage space our logistics offering has never been as strong offering our customers the opportunity for their goods to be stored and delivered from one location.